HIDALGO — A former city code enforcement officer found himself back in jail Monday following his arrest on a new bribery charge, a month after being arrested on similar allegations of abusing his position for his financial benefit. 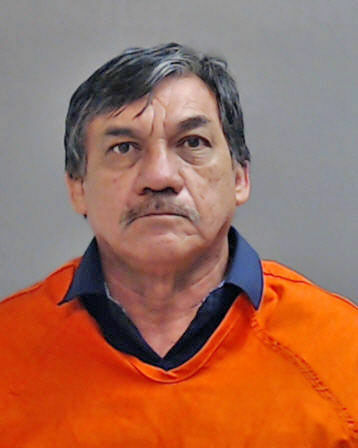 Francisco Martinez, 60, was arrested Aug. 26 on a second-degree felony bribery charge and a state jail felony abuse of official capacity charge stemming from an alleged October 2017 incident in which he is accused of scamming someone into paying him $18,000 to buy a piece of property. In September 2017, Martinez allegedly approached Augusto Jaime Garcia, the owner of Jimmy Boy Warehouse in McAllen, about purchasing an open lot in the 100 block of West Datil Street in Hidalgo. Martinez told Garcia the property belonged to the city of Hidalgo and was going to be auctioned off and that he would ensure it went to him, according to the probable cause affidavit, which notes Martinez was wearing a city of Hidalgo uniform and driving a vehicle with the city’s logo at the time of the exchange. Garcia subsequently paid Martinez $18,000 but never received paperwork regarding the property. Soon after, Garcia learned Martinez had lied about the property and requested the $18,000 back. A police investigation into Garcia’s allegations revealed the city’s Datil Street property, which is valued at $17,500, had not been listed for “any type of city auction,” according to city personnel, the affidavit notes. Martinez was arrested in mid-July on the same two charges for allegedly telling the owners of Annabel Ropa Usada in Hidalgo in May 2018 that he would allow them to move into a building without a sprinkler system — a violation of city code — if they paid him $9,000. He was released from jail on a $15,000 bond. Hidalgo Municipal Court Judge Ivan Perez set the bond on Martinez’s new charges at a combined $125,000 during his Aug. 27 arraignment. He remained in jail as of Wednesday afternoon. The city of Hidalgo would not disclose whether Martinez — who stopped working for the city shortly before his July 16 arrest — was terminated or resigned. The city has not responded to a July 17 public information request seeking his final date of employment.